Chrysler Delta 1.4 M-Air (140bhp) 11-14 avant des disques de frein & MTEC plaquettes de frein. 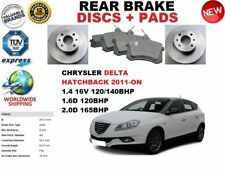 Chrysler Delta 1.4 M-Air (140bhp) 11-14 Front Brake Discs & MTEC Brake Pads. Plaquettes de frein MTEC Premium. Part Numbers 17168708 15210215X6 51877466 ( ). Factor Number: 51877466. 2012 CHRYSLER DELTA ABS Pump/Modulator. This item has been removed from a: 2012 CHRYSLER DELTA. Model: DELTA. Make: CHRYSLER. Part Type: ABS Pump/Modulator. Chrysler Delta 1.4 T-Jet (120bhp) 11-14 avant des disques de frein & MTEC plaquettes de frein. 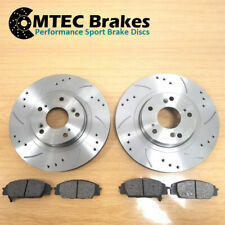 Chrysler Delta 1.4 T-Jet (120bhp) 11-14 Front Brake Discs & MTEC Brake Pads. Plaquettes de frein MTEC Premium. Bolt Hole Circle ( mm ): 98. 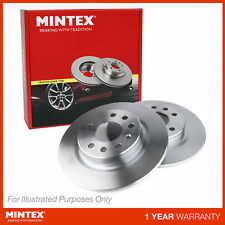 Brake Discs and Pads. Position: Front Axle. Brake System : Bosch. Our Part No's / OE PART NUMBER VAP0216BK-D. Part Number: ADC1814V. Part Number: ADB11222. Other Information. (2) DISQUES ARRIÈRE ENSEMBLE (251,5 mm ). 1) PLAQUETTES ARRIERE. 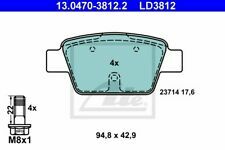 Reference OE/OEM Number 164202610001. These are brand new Original Equipment quality https://app.ad-lister.co.uk/ProductEdit.aspx?id=12fb99e5-f805-48b5-a5a7-8e580a3e4d6c#calipers. We only sell premium quality long-lasting parts. Don't be fooled by the low price. FREE 2 year warranty. No surcharge to pay and no old unit to send back. No hidden costs like some ebay sellers. We sell 100s of brake calipers to motor factors in bulk. If you're not 100% satisfied, please contact us or return the item back to us. Please contact us before leaving negative feedback and we'll do what we can to resolve any issues. FREE copper washers supplied (subject to availability). Fast next day delivery (see our Delivery section if delivery isn't to UK mainland). The picture is an accurate representation but the actual part supplied may vary slightly. APEC NO: PAD994 - PAD1271. VIPER 8.0 92-02. 406 COUPE 2.2HDi 2.0 V6 97-03. DELTA INTERGRALE 4WD 91-94. CHRYSLER / DODGE. COUPE 2.0 TURBO 96-01. BRAKE PAD SET. 147 3.2 V6 GTA 2003. FIAT 77363519, 77364602, 77364642, 77365114. Brake Caliper Type Brake Caliper (1 piston). Function Brake Caliper. CHRYSLER DELTA 1.4 Hatchback Petrol 08/2011 on FWD 16 120 88. BUDWEG CALIPER 343754. CHRYSLER DELTA 1.4 16V Hatchback Petrol 08/2011 on FWD 16 140 103. Y10 (1985-1992) - 1.0 - Hatchback - Petrol - 45bhp. Y10 (1985-1992) - 1.1 - Hatchback - Petrol - 55bhp. Y10 (1985-1992) - 1.3 - Hatchback - Petrol - 78bhp. Stilo (2001-2007) 192 - 2.4 - Hatchback - Petrol - 170bhp. (2) REAR DISCS SET (251.5mm ). 1) REAR PADS SET. KIT CONTAINS . 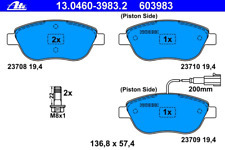 Technical Information: 2 Plain Pads, 2 Pads With Wear Indicators. Brake Pads. Fitting Position: Front Axle. Brake System: Bosch. Our Part No's / OE PART NUMBER VAPADB12213-B. Other Information Width 2: #. Brake Pads. Fitting Position: Front Axle. Brake System: Teves. Our Part No's / OE PART NUMBER VAPADB12032-A. Other Information Width 2: 71.6 mm. Width 1: 69.2 mm. Brake Caliper Type: Fist-type Caliper, Brake Caliper with integrated parking brake. Brake Caliper. Brake Disc Thickness: #. Brake Caliper Type: Fist-type Caliper,Brake Caliper with integrated parking brake. Brake Caliper. Brake Disc Thickness: #. These are brand new Original Equipment quality calipers. We only sell premium quality long-lasting parts. Don't be fooled by the low price. FREE 2 year warranty. No surcharge to pay and no old unit to send back. No hidden costs like some ebay sellers. We sell 100s of brake calipers to motor factors in bulk. If you're not 100% satisfied, please contact us or return the item back to us. Please contact us before leaving negative feedback and we'll do what we can to resolve any issues. FREE copper washers supplied (subject to availability). Fast next day delivery (see our Delivery section if delivery isn't to UK mainland). The picture is an accurate representation but the actual part supplied may vary slightly. Thread Size 13. Brake Disc Type Solid. CHRYSLER DELTA 1.4 Hatchback Petrol 08/2011 on FWD 16 120 88. CHRYSLER DELTA 1.4 16V Hatchback Petrol 08/2011 on FWD 16 140 103. CHRYSLER DELTA 1.6 D Multijet Hatchback Diesel 08/2011 on FWD 16 120 88. Brake Pads. Fitting Position: Rear Axle. Brake System: Bosch. Our Part No's / OE PART NUMBER VAPADB12154-B. Other Information Width 2: #. Width 1: 42.8 mm. ABS PUMP taken from CHRYSLER DELTA 2011. AUTO DELTA BH5500. CHRYSLER DELTA 1.4 Hatchback Petrol 08/2011 on FWD 16 120 88. CHRYSLER DELTA 1.4 16V Hatchback Petrol 08/2011 on FWD 16 140 103. CHRYSLER DELTA 1.6 D Multijet Hatchback Diesel 08/2011 on FWD 16 120 88. CHRYSLER DELTA 1.4 Hatchback Petrol 08/2011 on FWD 16 120 88. Function Cable, parking brake. CHRYSLER DELTA 1.4 16V Hatchback Petrol 08/2011 on FWD 16 140 103. CHRYSLER DELTA 1.6 D Multijet Hatchback Diesel 08/2011 on FWD 16 120 88.